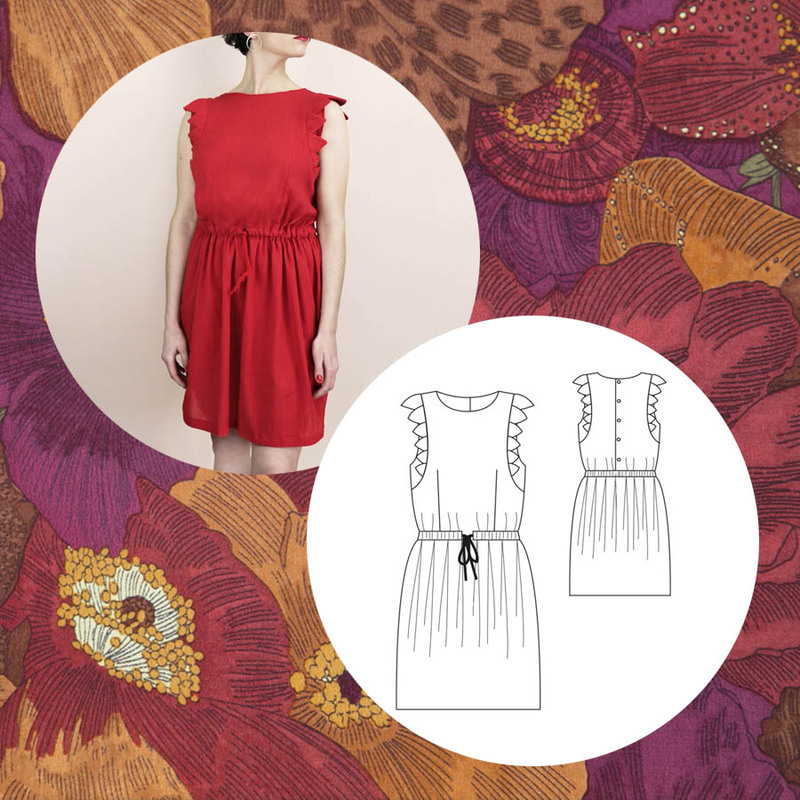 We have a lovely new sewing pattern range straight from France! Below we’ve matched the new patterns with some of our fabrics to give you some ideas of which fabrics would go well with these patterns. Madeleine is an easy to make wrap dress that suits all body shapes. Its retro-chic style makes it easy to wear from day to night. It closes with buttons or snaps on each side of the waistband. The sleeves are long but can be easily shortened, which makes it an all year round dress. Lovely in one of our Stretch Rio Crepe fabrics. 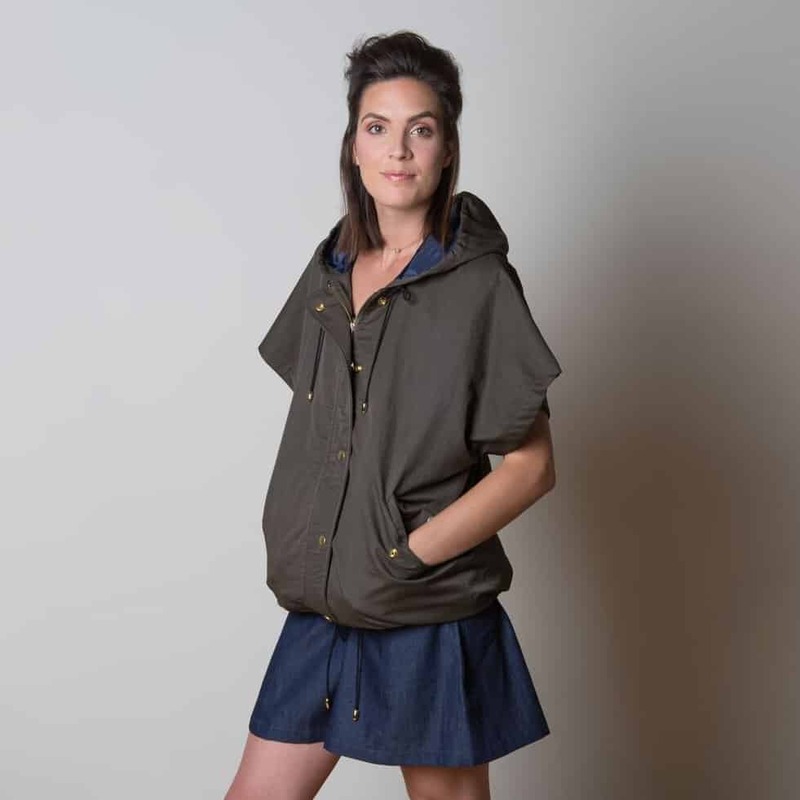 Bernadette is a cute little loose-fitting Chanel-style jacket. It features 3/4 sleeves and a rounded neckline and it is rather short. You could add piping along the openings and a zip closure at the front. This would look great in one of our Bonded Wool Stretch fabrics. The Adele dress is a little summer dress with a waist tie. Romantic with its delicate petals at the armholes and modern with its gathers and back buttons, it’s the perfect dress for weddings and other spring and summer events. Depending on the fabric you’ll use, it will go from the beach to the office. This silk is beautiful and would be perfect for this elegant dress. 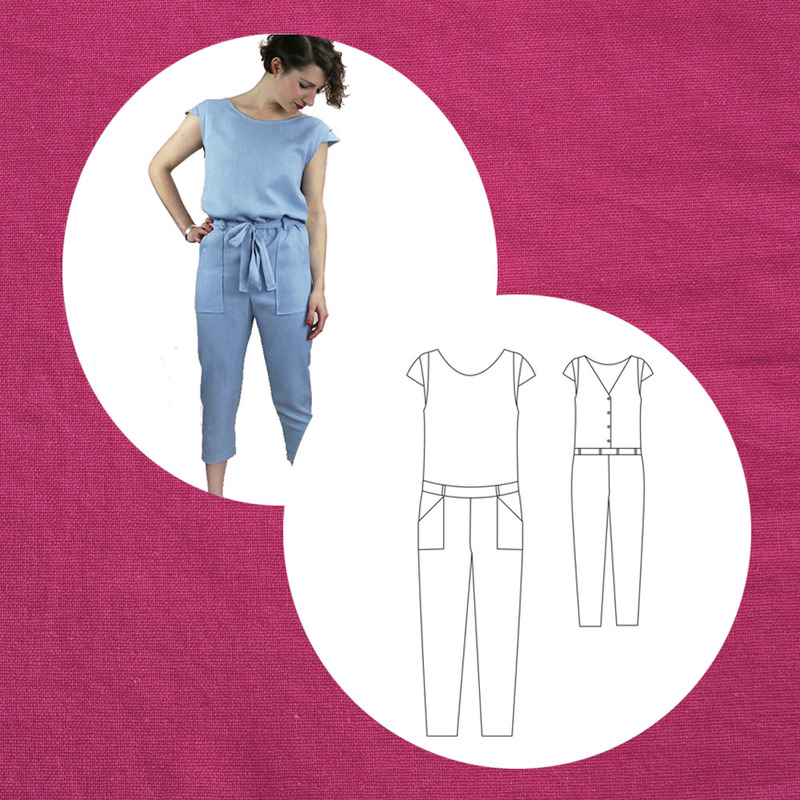 The Jackie jumpsuit is a casual garment that will please all body shapes. With or without a belt, this low-waisted jumpsuit combines comfort and a feminine touch. Its double cap sleeves highlighting the shoulders, its lovely buttoned back cleavage and its patch pockets adorning the trousers make it an original model to wear from day to night and with endless possibilities. We have a number of linens that would work with this lovely jumpsuit here. 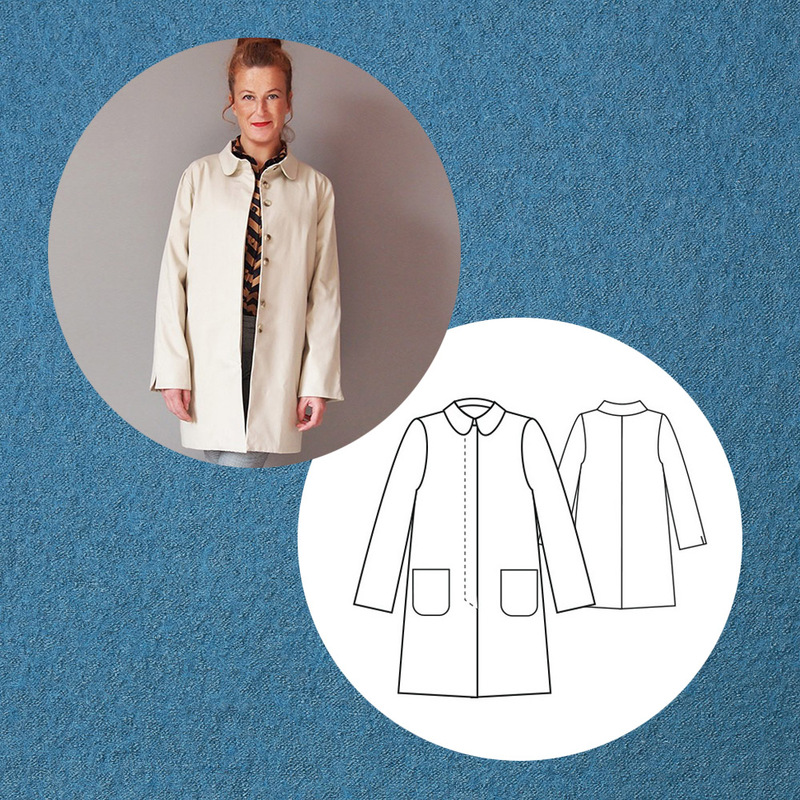 Between “Mad Men” and “Twiggy”, Roger is an easy to sew trench that is also elegant and comfortable. 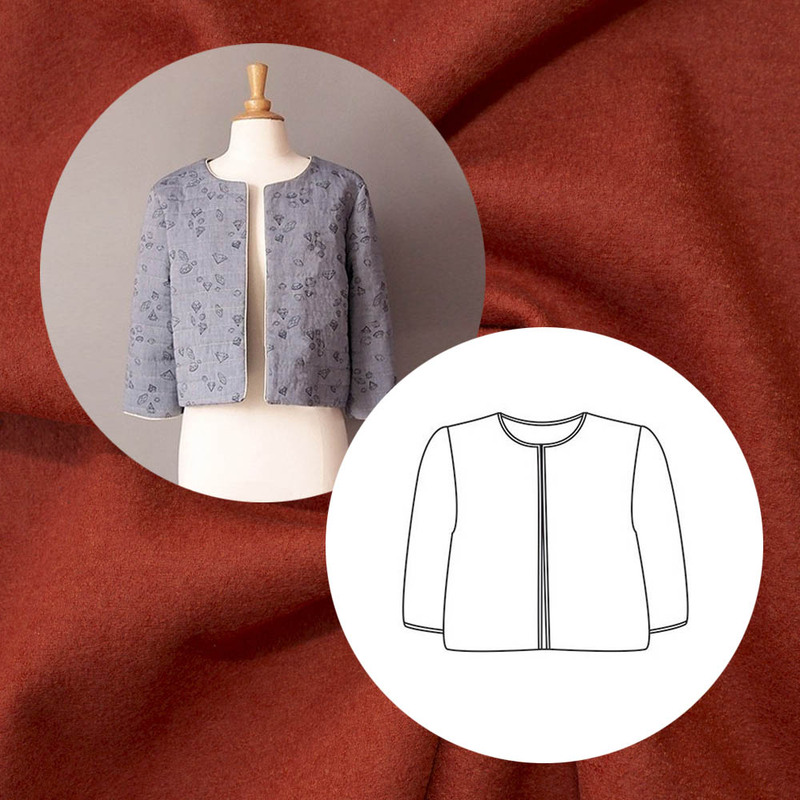 Designed for customisation, it will allow you to have fun with the two types of collars and pockets provided, to hide or show the buttonholes and to play with the materials: gabardine, denim, cashmere, wool or even coated fabric or oilcloth. We have many light wools suitable for this, but we think the kingfisher colour gives some vibrancy. We hope you enjoyed reading this post, don’t forget to check our Sale page, most of these beautiful fabrics above are discount at the moment, don’t miss out! We are updating this every few days, but they don’t hang around for long.